Amy Dalgleish BSc. (Hons) MBAcC, is an acupuncturist practising in the historic market town of Brigg, near Scunthorpe and Grimsby, in North Lincolnshire. Amy practises Traditional Chinese Medicine (TCM), providing acupuncture treatments which may also include acupressure massage, cupping and moxibustion. Amy spent three years studying for her BSc (Hons) Acupuncture degree at The University Of Lincoln, graduating in 2007. 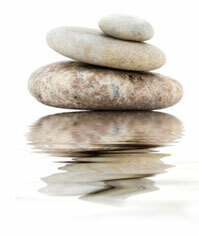 Immediately after graduating she became a member of The British Acupuncture Council (BAcC). This site contains information about Traditional Chinese Medicine and acupuncture, along with information about treatment sessions. 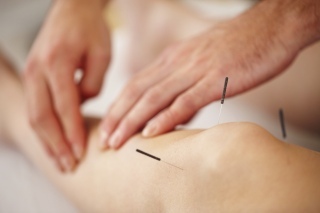 If you have any more questions about how acupuncture can benefit you, please contact Amy. "After suffering with tennis elbow for over a year, and the pain getting progressively worse, I realized something must be done. Both my father and Mother had had the cortisone injection for the same affliction from the doctor's, and had graphically described the intense pain they had suffered - my mum passed out! My wife had seen an advert for Amy's practice in the paper and rang on my behalf to see if acupuncture could help me, and I was pleased to learn that acupuncture has a very good record treating tennis elbow. I went to see Amy and had a consultation finding her friendly yet professional, and then started a course of treatment whereby I went 6 or 7 times. This was over three years ago now and I have had no complaints since!" "I first contacted Amy because I was due to start IVF in a few months and I had heard that acupuncture increased your chances of a pregnancy. I had done my research and found it was better to start acupuncture treatments 3 months before IVF to achieve the best results. I had never had acupuncture before and was very nervous, I didn't know what to expect. At my first consultation Amy made me feel very much at ease, we sat and chatted about my fertility issues and Amy recorded everything so she could work out the best treatment plan for me. I attended once a fortnight for 6 months before the IVF (due to delays with IVF clinic). The acupuncture made me feel very relaxed and over the months changed my body for the better, I was having a lot of problems with a hormone imbalance that now does not exist at all, my periods are a million times better and I feel great. I didn't really suffer with side effects from the IVF injections, and guess what, I'm pregnant! The IVF worked first time. After 6 long years of trying for a baby it's finally happening. Amy was fantastic! A huge support throughout this whole stressful process and I cannot thank her enough."